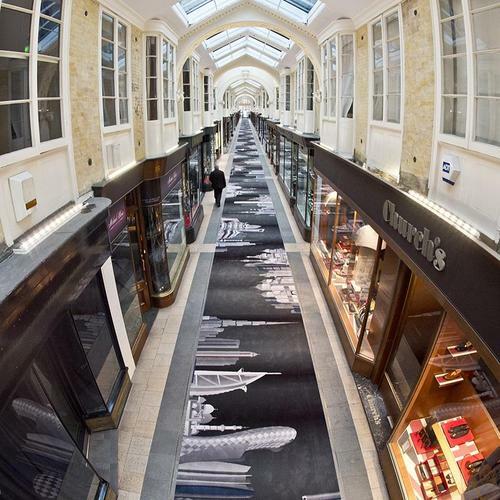 Situated between Bond Street and Piccadilly, The Burlington Arcade is one of the world’s oldest and most celebrated shopping venues. 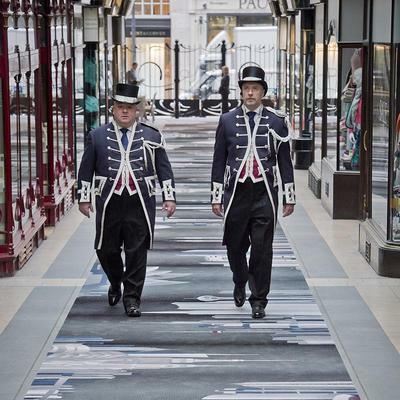 Built in 1819 by Lord George Cavendish, younger brother of the 5th Duke of Devonshire and designed by Samuel Ware, the arcade has a rich and varied history and is the world's first covered shopping area. 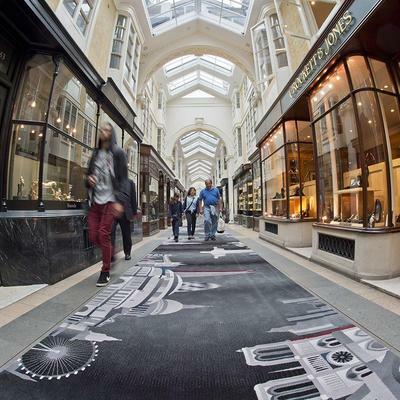 Following a year when the eyes of the world were on London, thanks to the Queen’s Diamond Jubilee and the London 2012 Olympic Games, the shops in The Burlington Arcade celebrated a 42% increase in purchases from international visitors, helping to cement its position as a worldwide shopping destination. 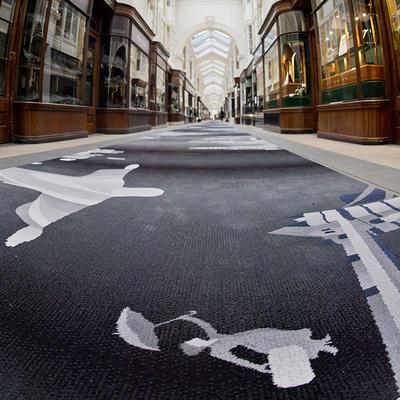 The Burlington Arcade is one of the capital's great treasures of shopping and this marvellous rug showcases great British design and manufacture. 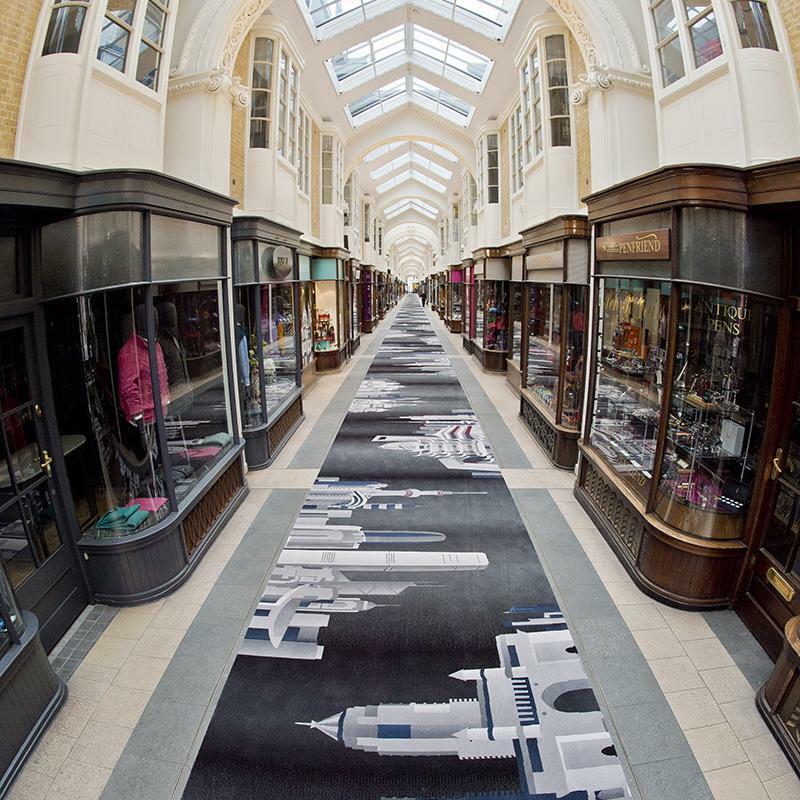 It's a magic carpet ride across iconic buildings from around the world that will add to the arcade's allure for Londoners and tourists alike. 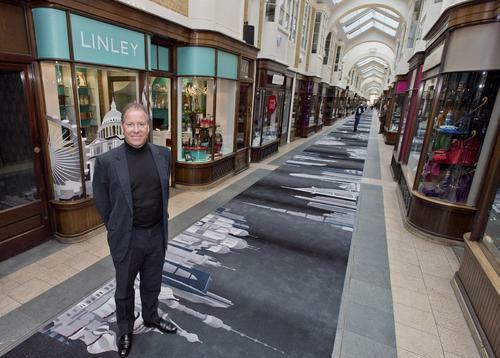 Keeping the international spotlight firmly on London’s famous shopping experience, The Burlington Arcade commissioned Brintons and LINLEY to create a brand new, bespoke carpet that runs the full length of the longest and most beautiful covered shopping arcade in Britain. 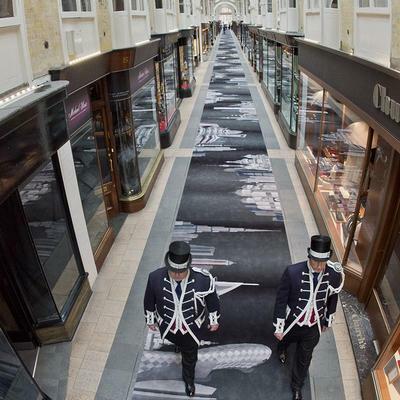 The focus of the design is to welcome international visitors to the luxury landmark, whilst acting as a showcase for British creativity, wit and design. 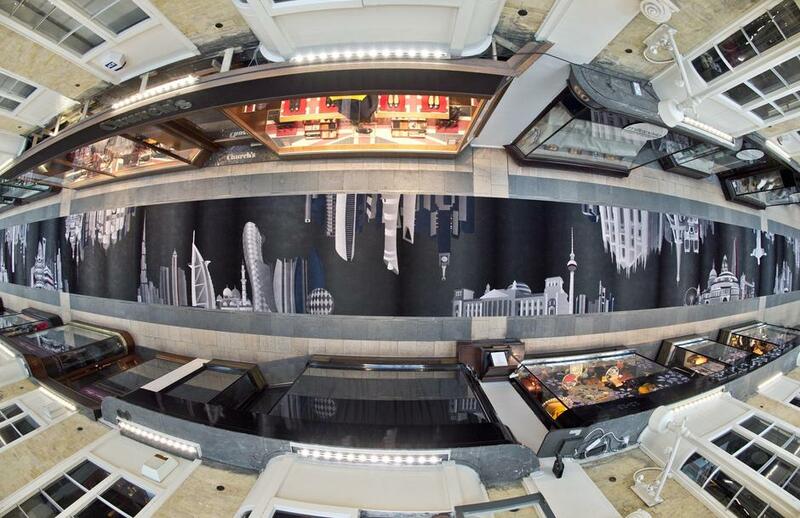 The contemporary design features iconic structures from every continent around the world; from bridges to cultural venues and centres of industry and business. Whilst contemporary, the design is still very much connected to traditional LINLEY marquetry and furniture, and exemplifies architecture and heritage.